Canadian auto sales grew quickly in the first-half of 2016, surging past 2015’s record-setting pace with an additional 43,000 sales. But Canadian auto sales growth has stalled ever since, with year-over-year volume sliding by 17,000 units in the first four months of 2016’s second-half. October 2016 was the fourth consecutive month in which sales this year – while healthy, thanks to strong incentivization – weren’t as numerous as sales during the same period one year ago. Despite a 12% drop in sales in October 2016, the Ford F-Series, Canada’s best-selling vehicle, is still on track to report an annual record. The Ford F-Series’ top-selling rivals are all fading. The Honda Civic and Hyundai Elantra, Canada’s two best-selling cars, are both selling more often this year than last. But the bulk of the majority of their rivals are struggling to match last year’s output. The Toyota RAV4 is set to become Canada’s top-selling SUV/crossover in 2016. 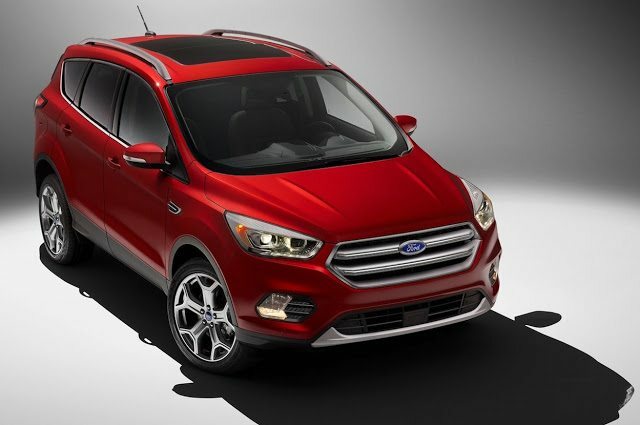 Ford’s second-ranked Escape – ninth overall – is a perennial favourite, but needs to outsell the RAV4 by nearly 1700 units per month in November and December if the Ford is to reassert itself. Reminder: these are 2016 year-to-date rankings, but you can sort vehicles by October 2016 volume by clicking the October 2016 column header, or you can rank vehicles by improvements or declines using the % columns. Or, most importantly, you can list automakers together by selecting the Vehicle column header. There are visible brand results, so when you sort the table by vehicle names to showcase, for example, all Audis together, you’ll also see the Audi brand’s total. Auto brands are shown in bold to differentiate makes and models, manufacturers are bolded and italicized. At any time, click the Rank column to return to the original format. If you’re on a mobile device, you may need to choose the full version of the site (at the bottom of the page) in order to use the sortable function. ² Total Prius Family sales: down 14.9% to 515 in October; up 55.3% to 6564 YTD. ³ Total Santa Fe sales: down 24.5% to 2291 in October; down 0.3% to 27,972 YTD. ‡ Total Genesis sales: down 41.7% to 88 in October; down 15.4% to 1831 YTD. Sales data for brands such as Ferrari, Lamborghini, and Rolls-Royce are unfortunately not broken down by model. estimates say sales for those brands in 2016’s first ten months were 180, 145, and 70 units, respectively. It is believed that Tesla sold 1821 new vehicles during the first nine months of 2016.